Here are a few golf equipment and accessory items which would make great Father’s Day golf gifts. 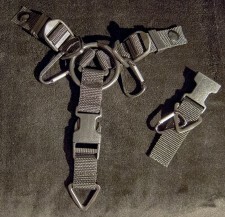 These are items HOG has reviewed in the past, and each description contains a link to the original for more details. 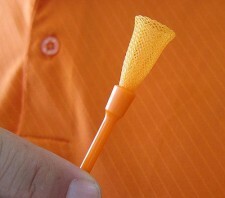 Snap Hookz is a golf accessory accessory. The unit snaps onto the golf bag’s umbrella buttons and provides ample hangars for other accessories like golf brushes, golf towels, GPS units, etc. Tornado Tee use a high technology mesh to reduce friction and increase accuracy and distance. Use the coupon code HOG to receive free shipping and TWO extra tees on checkout! Perfecto Cigar Holder in Action! 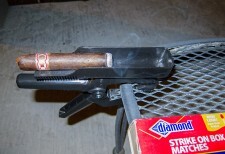 If dad (or mom) smokes cigars the Perfecto Cigar holder would make a great gift. The holder provides a place to put the robusto, catches ashes, and clamps onto all sorts of surfaces. 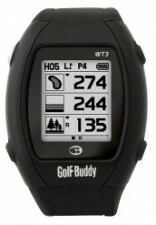 If you have some budget to work with for dad, pick him up a Golf Buddy WT3 Golf GPS Wristwatch. The watch has thousands of golf courses in its database, and provides yardages to front, center, back of the green. It also gives yardages to hazards as well as tracking golf scores. 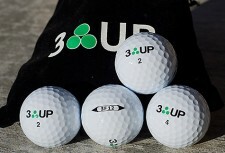 3UP 3F12 Golf Balls – click to zoom. Dad can always use golf balls. Many great brands are out there. I suggest golf balls from 3UP, The Ball, and Bridgestone Golf. Are dad’s grips ratty, old, falling apart, slippery? Having good grips can help improve dad’s score. 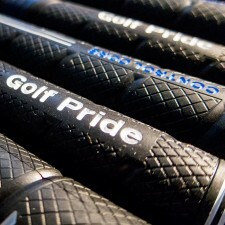 Hook pops up with a set of new Golf Pride CP2 Wrap grips. A portable launch monitor can be a great tool for improving dad’s golf game. When making adjustments, trying out new clubs, or just working on the swing, a launch monitor gives feedback on ball speed, launch angle, club speed and much more. 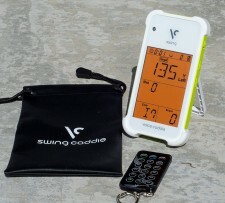 The Swing Caddie is a new breed of “affordable” launch monitors.